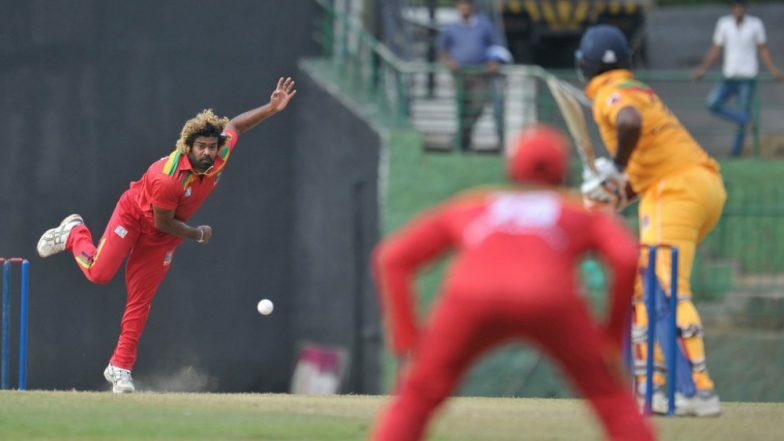 At a time when workload management of the players are keenly monitored ahead of the World Cup, Sri Lanka's veteran pacer Lasith Malinga, in a rare incident, played two matches inside 12 hours -- a T20 game in India and a domestic 50-over match in Sri Lanka. Did Krunal Pandya Try to Mankad MS Dhoni During MI vs CSK IPL 2019 Match in Mumbai? Watch Video. The match ended close to midnight, but early on Thursday morning, Malinga was on a plane to Kandy to take part in Sri Lanka's domestic Super Four tournament. MI vs CSK Stat Highlights IPL 2019: Mumbai Indians Becomes First Team to Win 100 Matches in Indian Premier League. Wednesday: 3/34 for @mipaltan at the @IPL.